If history has taught us anything, it’s that if Pharrell Williams is making a scheduled appearance somewhere, an adidas Hu NMD will follow. 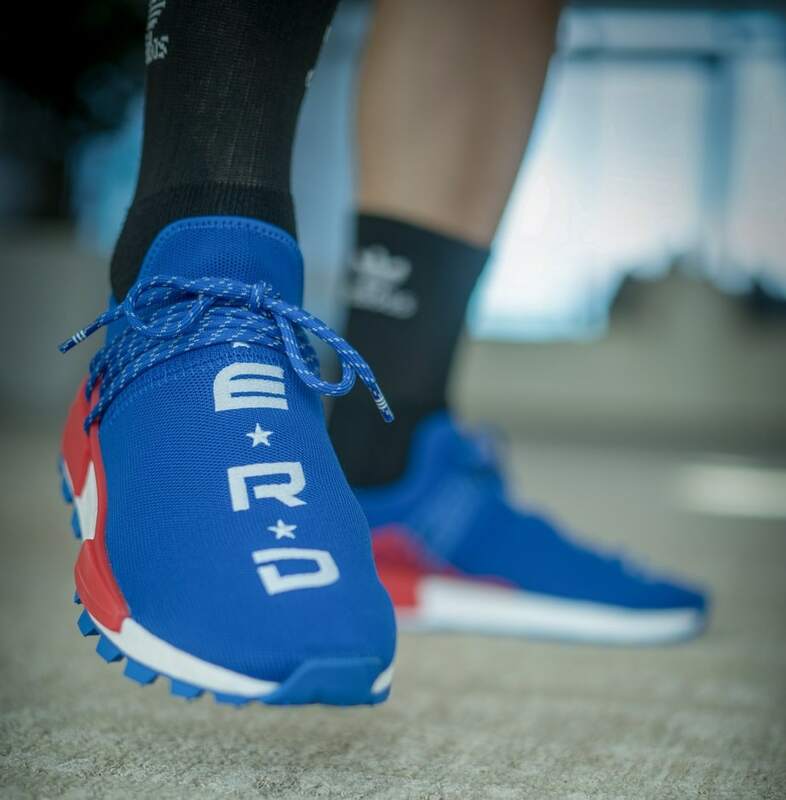 Thanks to SolebyJC, we have an on-foot look at a new N.E.R.D. pair, dropping exclusively at ComplexCon in November. Pharrell’s signature adidas Hu NMD has become one of the most desireable adidas shoes on the market in recent years. Toeing the line between limited and widely available, the releases so far this year have been frequent. However, Skateboard P fans are still hungry for the most exclusive version of his sleek silhouette: the N.E.R.D. collaboration. Thankfully, adidas and Pharrell are happy to oblige, cooking up a special new colorway of the Hu NMD to release this year. Although the shoes have been seen briefly on social media this week, we are happy to share the best look yet. 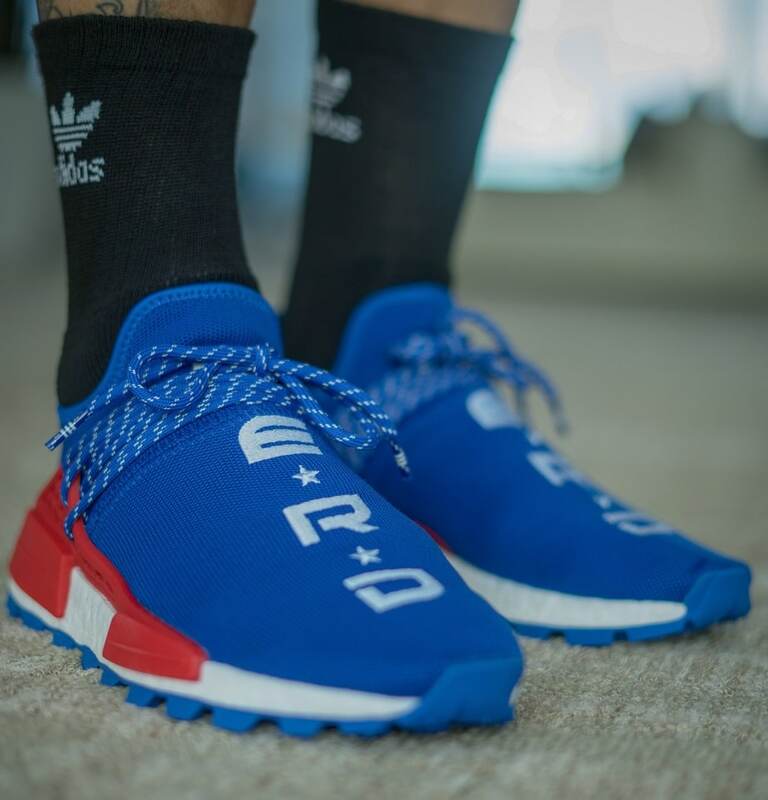 With a huge thank you to our friend SolebyJC, we now have an early on-foot look at the red and blue N.E.R.D. x adidas Hu NMD set to release at ComplexCon next month. As with all N.E.R.D. & adidas collaborations, pairs of this bright Hu NMD will be extremely limited. Labeled as a ComplexCon exclusive, the shoes will be available for one weekend only in Los Angeles, California. 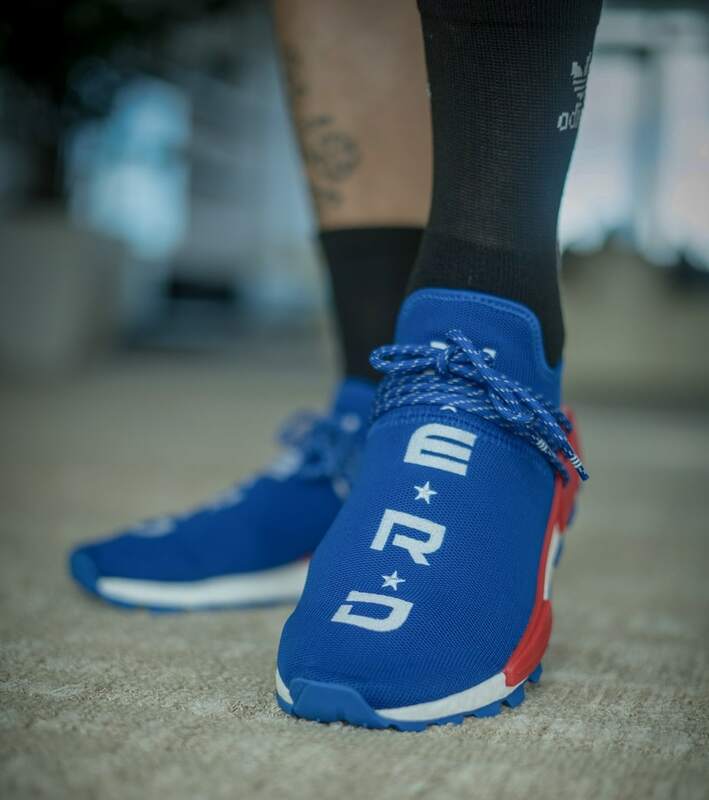 The striking new look for Pharrell’s signature adidas NMD begins with a blue Primeknit upper, emblazoned with N.E.R.D. 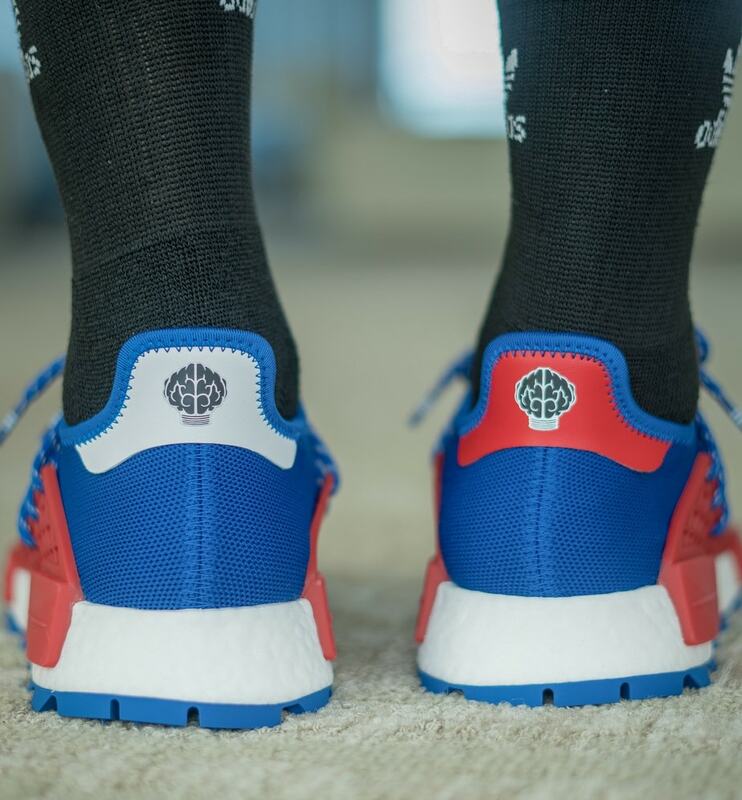 logo running down the front of both shoes. The reworked midfoot lacing system comes in red to contrast the main body, while the laces are dyed to match the blue. Finally, a white Boost midsole and vibrant blue outsole finish off the new colorway. Those who are heading to ComplexCon for the first weekend of November are going to have an exclusive chance to pick up this new N.E.R.D. 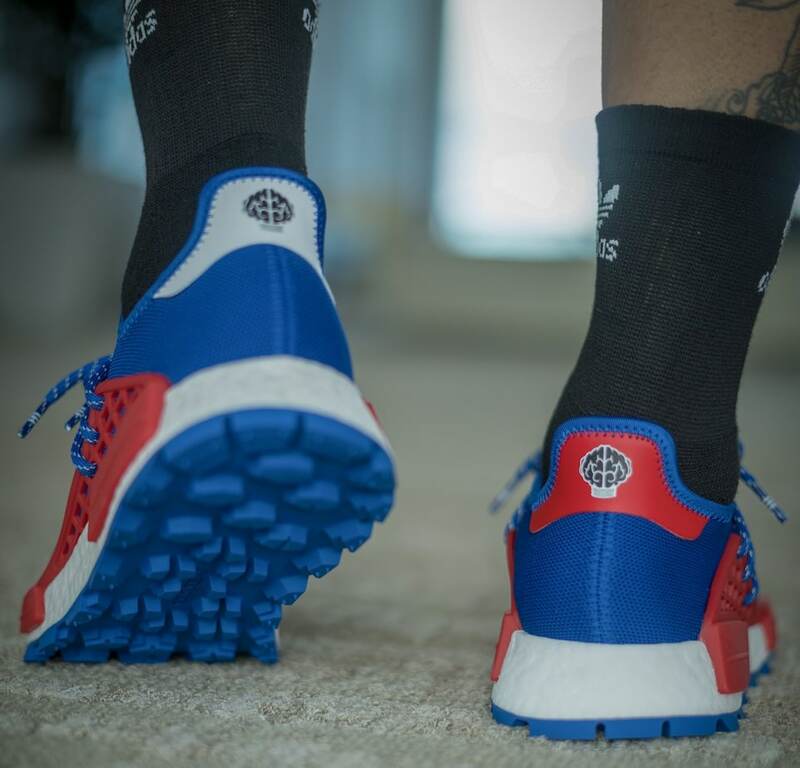 adidas Hu NMD. Pairs will likely retail for their usual $250 price tag, and if last year was any indication, released via a limited raffle system. Words by Ben Serleth, images provided by SolebyJC. The post Exclusive First Look at the N.E.R.D. 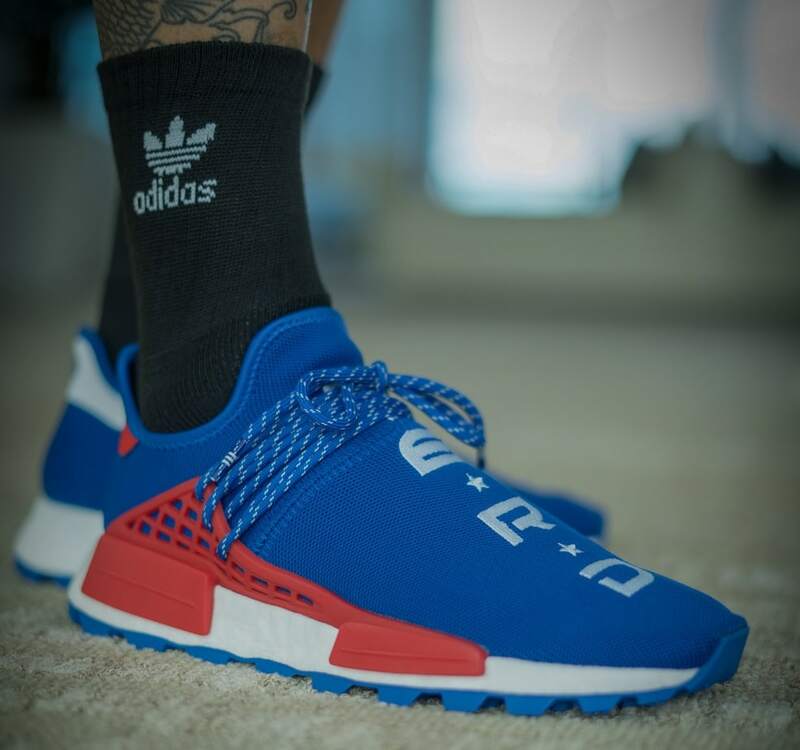 x Pharrell adidas Hu NMD Dropping at ComplexCon appeared first on JustFreshKicks.